If the FBA can not ship to you or FBA goods is out of stock,Shipping by USPS also fast, usually delivery in 7-14 working days if you choose [standard shipping], much sooner than the system estimated delivery time. 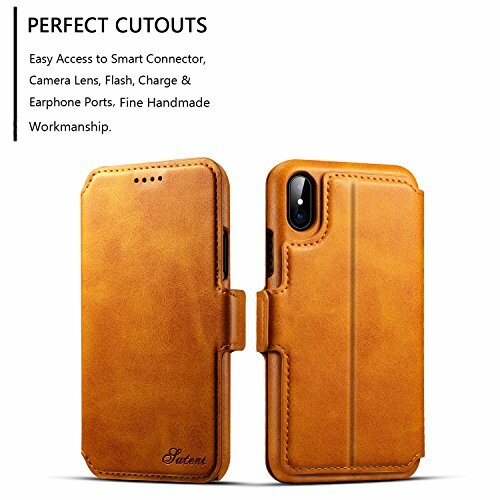 Specially Design Leather Wallet Case for iPhone X (2017).Premium Leather Material: The leather case is entirely handmade of classy, sleek PU Leather. Each case is unique, reflects our quest for perfection in form, detail and fabrication. They look stylish and feel nature and soft. 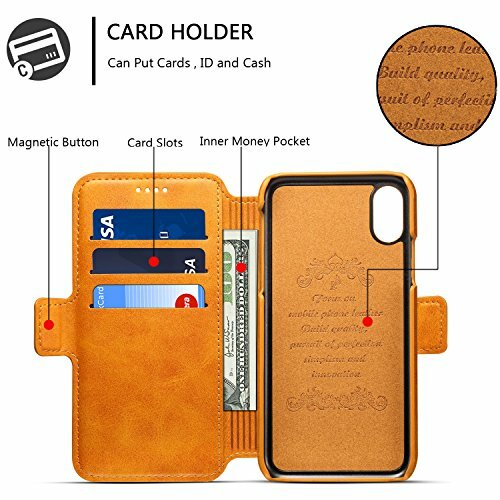 Your iPhone will fall in love with this Flip Folio Wallet Stand up Credit Card Holder Leather Case. 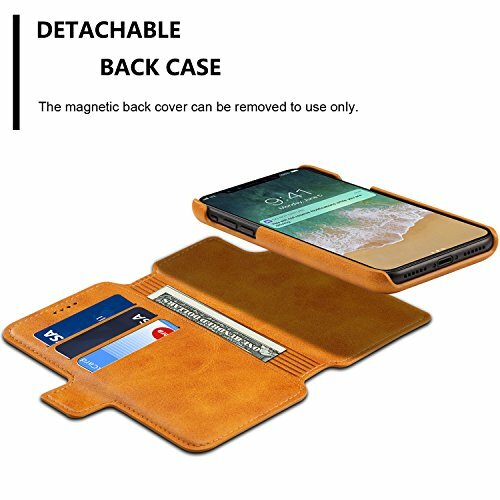 Detachable Magnetic Hard Case: You can carry the case with the wallet folio or you can detach the case from the wallet if you want to carry only the hard case without the wallet. You can also stick this back case on your car mount or your fridge via its magnet. 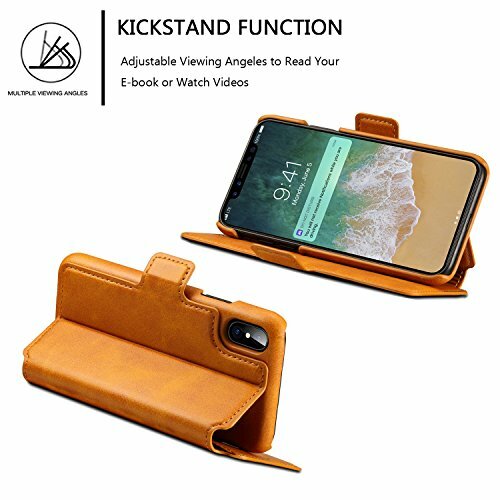 Stand View Design: This flip cover featuring kickstand allows you to enjoy your phone without holding it by hand, even when you do some housework, you can still enjoy your favorite video. 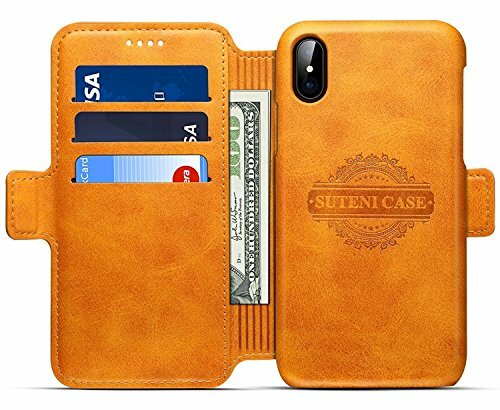 HIGH QUALITY MATERIAL & CRAFTSMANSHIP- This wallet phone case for iPhone is entirely handmade of classy, sleek PU leather. Each case is unique, reflects our quest for perfection in form, detail and fabrication. - More durable and soft feeling. - Lightweight, Thin and Classic Design: Ultra slim folio type case to minimize bulk & weight. - 3 card slots + 1 cash slot compartment allow to conveniently hold your ID card, credit card and cash. Cards fit safely in your cover, super pratical when you're out. - Detachable slim case can be sued separately, in case you want a simple case at times. 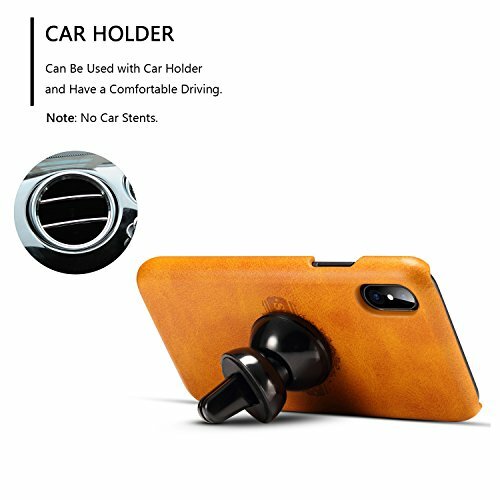 - You can also stick this back case on your car mount or your fridge via its magnet. 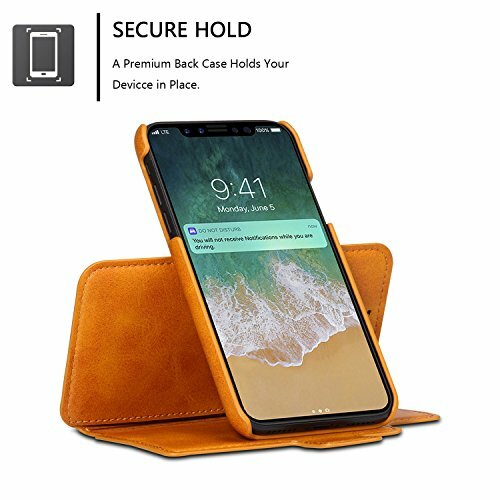 - Precise cutouts for speakers, earpiece, camera and other functional ports allow to access to all ports and functions easily, without removing the case.Smart Design allows you to easily flip the inner holder to access all your cards conveniently. - Design with flap cover( stand flip design), freely and relaxed to enjoy video, movies, E-book, pictures etc. 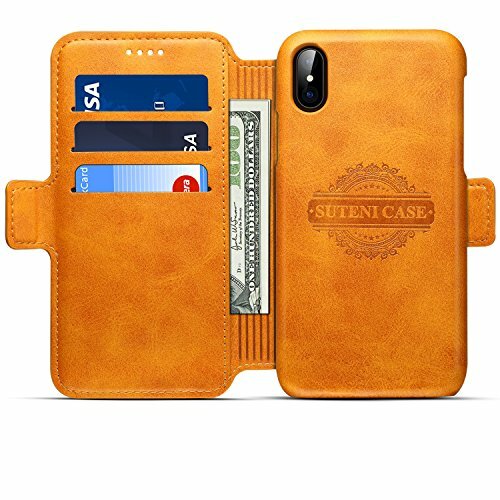 Your durable book style case wraps around the entire body of your iphone to provide 360-degree protection and security for your iPhone, and cards. - Perfect fit, slim and sleek design adds no burden to your phone, thin without bulky feel. Precise cutouts for speakers, earpiece, camera and other functional ports allow to access to all ports and functions easily, without removing the case.